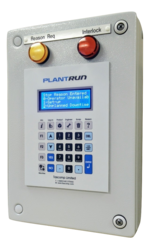 PlantRun is complemented by a range of hardware including operator terminals, barcode scanners & swipe card readers, RFID readers, touch screen interfaces and overhead KPI displays. 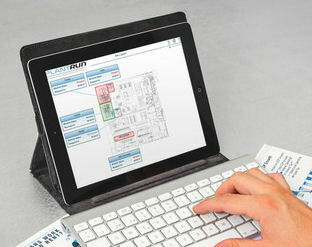 Operator Outstations with keypad terminals are a feature of PlantRun systems, providing an interface between the system PC, machine and operator. 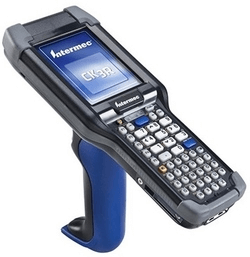 Outstations have wipe clean alphanumeric keypads and multi-line displays housed in rugged enclosures including versions in stainless steel suitable for 'clean' and 'harsh' environments. Built in I/O allows for simple screw terminal connection of signals from machines/assets, data and power for straightforward installation. Independent power supply ensures terminals continue to operate if machine power goes down. As an alternative to Outstations a wide range of PC, tablet and touch screen operator interfaces can be supplied. If you already have PC's on the shopfloor it is likely that these can be used as part of a PlantRun system. PC, tablet and touch screen displays are fully customisable allowing more functional flexibility than Outstations. They have the advantage of providing enhanced graphical capability, for example, allowing images to be displayed to reduce operator error (is the correct product being run?). IP rated stainless steel versions are available for applications that require clean down such as food and pharmaceuticals. 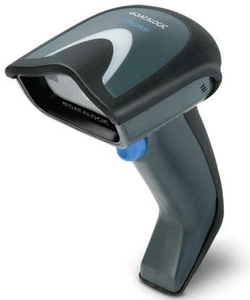 PlantRun systems support connection of wired and wireless barcode and RFID scanners for accurate capture of data for works order/part numbers/downtime reasons etc. 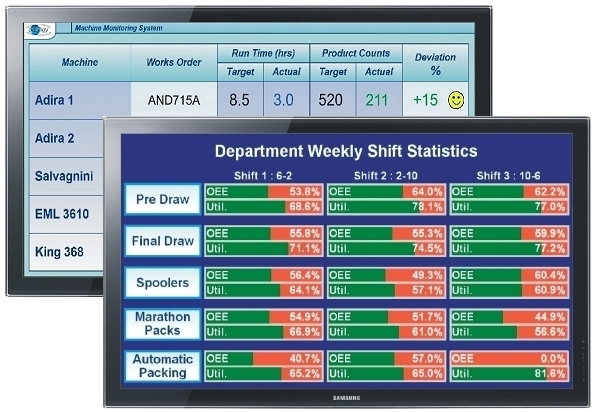 Large format KPI displays deliver key metric information straight to the work area to inform and motivate staff. Any number of displays - monitor, large screen TV or projector - can be driven from a PlantRun system delivering relevant information to the area in which each display is located. PlantRun 'Display Node' technology means you can site large displays, typically overhead, anywhere including production, meeting, rest and reception areas.